Ms. Granoff provides a detailed review of the stages of an investigation with guidance on responses, navigating the potential pitfalls and when representation is advised. For nearly ten years, Ms. Granoff was employed at the Illinois Attorney Registration and Disciplinary Commission, first as Counsel, and than as Senior Counsel. In this capacity, she reviewed thousands of files for potential ethical violations, prosecuted cases of attorney misconduct, assisted with the resolution of attorney complaints and gave ethical opinions in a wide variety of law. Since 2001, She has worked in private practice defending lawyers charged with ethical violations and giving legal opinions on ethical issues. Additionally, she has helped initiate preventative measures for lawyers and law firms to avoid ethical violations of the Rules of Professional Conduct and resolved hundreds of potential client grievances against lawyers. She attended the University of Wisconsin Madison and obtained a Bachelor of Arts in History and Political Science and a Juris Doctorate from IIT-Kent College of Law. In her practice, Ms. Granoff offers business consulting services for law firms ranging from solo practitioners to large law firms. The practice of law requires constant ethical and practical business solutions. As a consultant, She works with lawyers and law firms practicing in personal injury, domestic relations, general civil litigation, estate and wills, real estate, and criminal law. 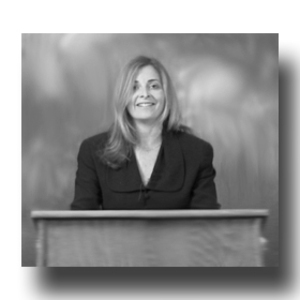 Ms. Granoff provides complete ethical consulting to lawyers whether they are a sole practitioner or a large law firm. She also resolves potential internal disputes and actual disputes between lawyers and clients by investigating claims, speaking to relevant parties, and reviewing relevant documentation. Her objectivity allows her to recommend solutions that are practical, ethical, and cost effective. She also reviews ethical marketing material and provides ethical opinions on this documentation.